As you can sort of see, I’ve almost completed the row. I worked until last night (Friday) and only lack one insect, but I was too tired to do anything else. The goal tonight is to finish the little bird or whatever it is that goes in the far right corner and then start on the next rows of text. I have dozen’s of boxes of fibers so I need to go through them to see if I have the Weeks thread needed, otherwise a trip to the needlework store! Yeah! 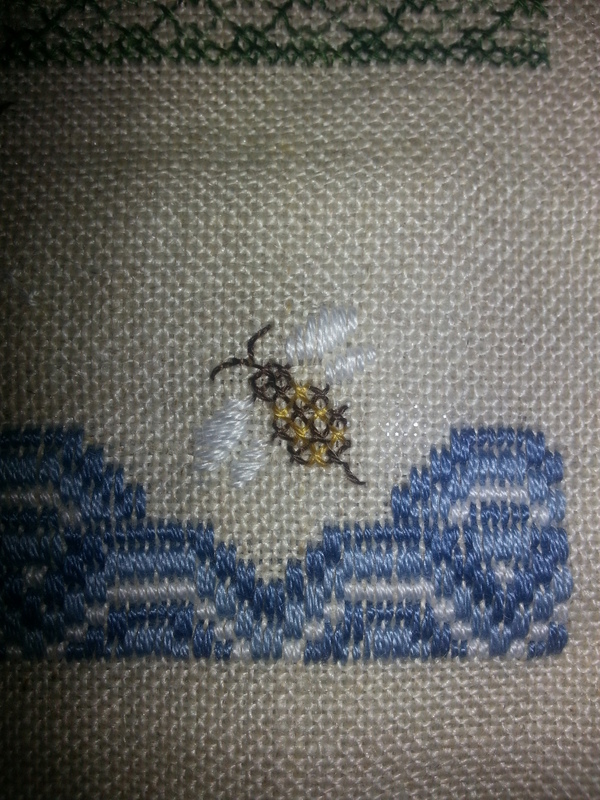 Here is a close up of the little bee. His body is worked in one over one but his wings are 2 threads. I really like how satiny they look and they really pop on the fabric. Follow me at Tricia’s Thursday Stash Bash and see some other wonderful work and show us what you’ve been up to! Wow! 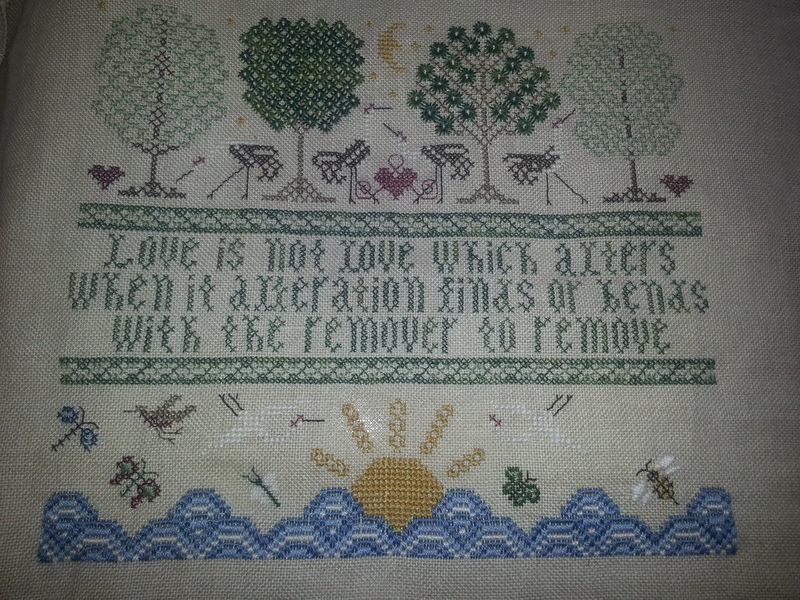 The whole piece is incredibly beautiful, and now that I understand the quote, I think it’s pretty amazing.